Custom ice cream cakes are here!! 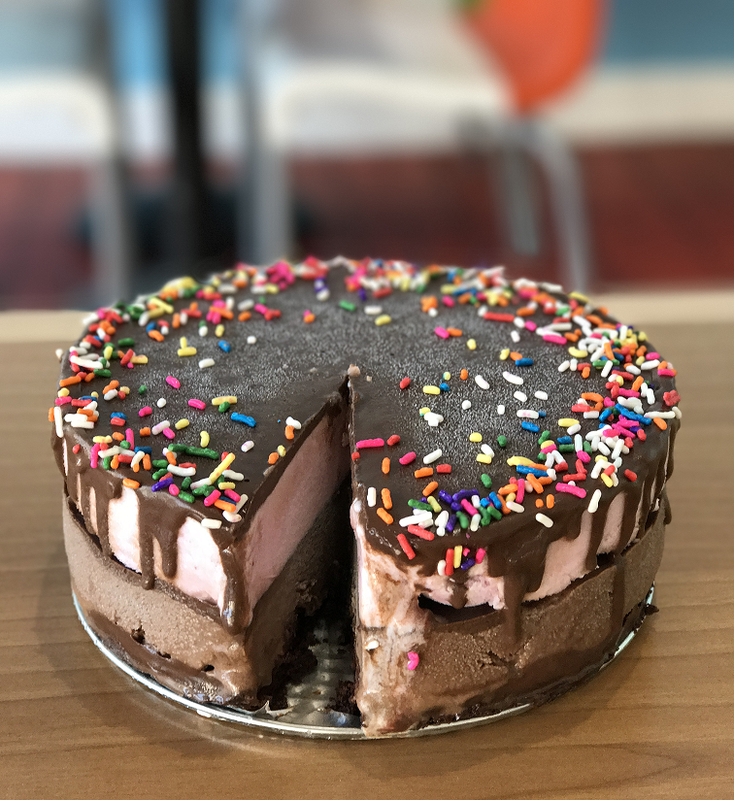 With layers of gluten-free brownie, chocolate fudge, sprinkles, and our dairy-free ice cream, our handcrafted cakes are perfect for any occasion. But then again, who needs a special occasion to have some ice cream cake? Order one today! Both online and in-store, gift cards are available in any denomination greater than $10. Click below to instantly send an online gift card. Finally, we can all scream for ice cream! We can bring it to you! We offer catering services customized to your event! Whether it's a wedding, a birthday party, an employee gathering, or just for fun, we are happy to serve you and your guests with a slew of frozen treats from scoops to sammies. Please submit a catering inquiry form to tell us a bit about your event and to receive a quote.